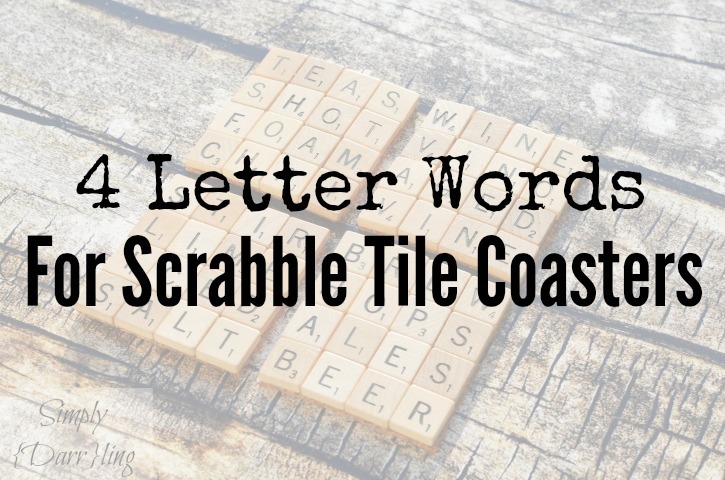 Are you making some Scrabble tile coasters and looking for word ideas? You have come to the right place! If you are looking for a tutorial on how to make the coasters, check out my original post here (or here for the Christmas version). 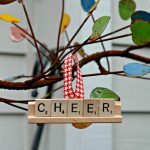 These coasters make great gifts for friends and family (think house warming party!) or make them for yourself. I have this set out on my end tables and they work great. 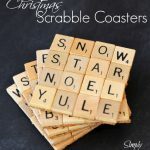 I originally made my Scrabble Tile Coaster set with drink words and then made some Christmas ones a couple months ago. I will definitely be making more of these because they are so much fun! Have some other word or category ideas? Let me know and I will add them to the list! 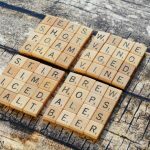 What type of Scrabble Tile Coasters do you want to make? Such a cute idea! Thanks for the ideas! Love these ideas. Thank you! This is such a cute idea!! Thanks for the great list of ideas! 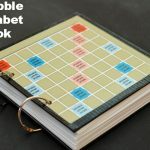 I’m going to pull this up next time I play my husband in Scrabble haha Thank you for sharing! Love this idea – so cute! Oooo, I would make one for each season! Oh, this is super cool! never thought to do this! Great idea for coasters! Very nice word ideas as well! The beverage ones are my favorite. This is a simple and inexpensive idea. I’m going to look for scrabble at thrift stores.